By default, when you do a search in the Chrome Omnibar, it uses Google by default. If you want to search a specific site, Chrome makes it easy to add you’re own custom sites to search. By default, when you type any search in the Chrome address bar, it uses Google by default. If you want to search a specific site, you need to navigate to it and then do the search query. In Chrome you can Add websites as custom search engines to make it easier, here’s how to set it up. 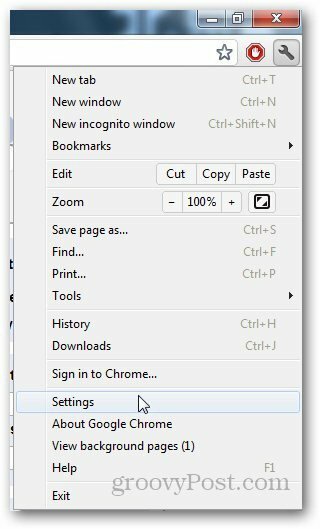 Launch Chrome, click the wrench icon and click Settings. Under Search, click on Manage Search Engines. There you’ll see the websites added in the custom search engines. Adding custom search engine is easy. 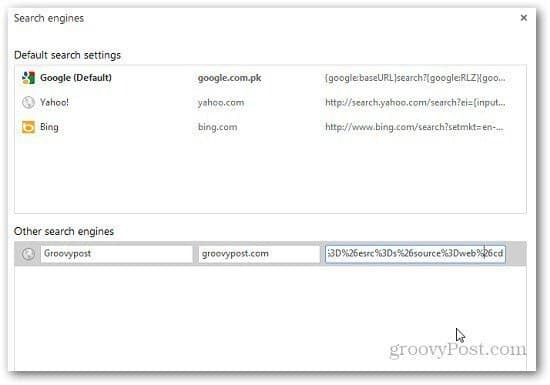 Under Other Search Engines type in the Search engine name, keyword (this will be used to perform search in address bar)and the search URL of the website. To find the search URL of the website you want to add to custom search engines, go to that specific website and search for any keyword. Then, copy the URL and replace the search keyword with “%s” as shown below. 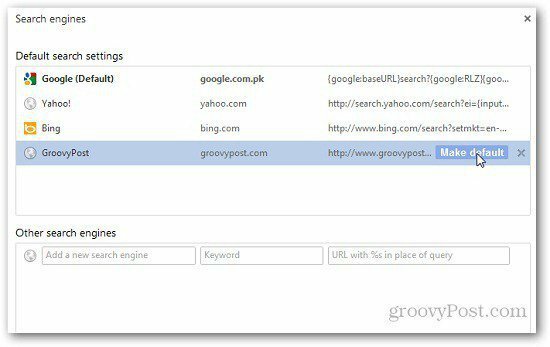 To perform a search on the newly added search engine, type the keyword followed by a space and the custom search engine icon will appear. 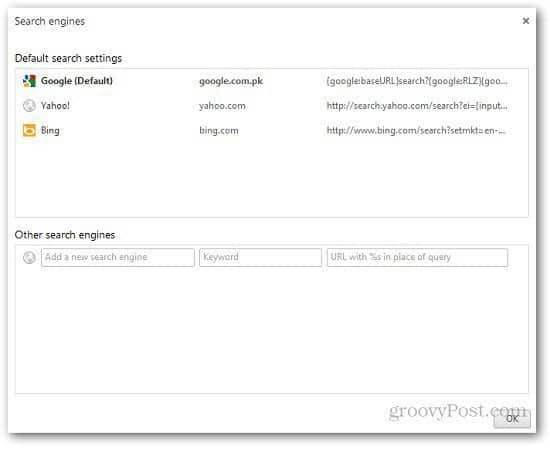 Now, type any keyword you want to search for and hit enter. 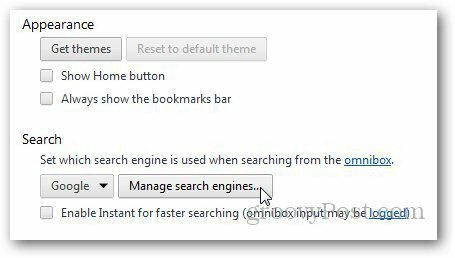 If you want to make the custom search engine the default, go to Manage Search engines again and hover your mouse over the search engine. A new Make Default button will appear, click on it and you are done. This helped!! I have never added additional search engines but apparently one was added and even though when I just looked it wasn’t the default search engine it was still showing me snap search results instead of Google.